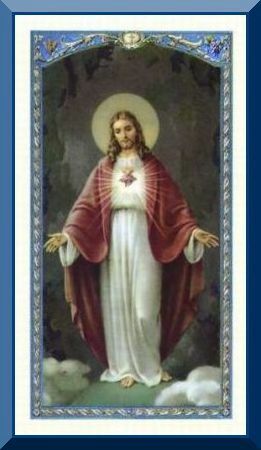 This Anima Christi Holy Card is laminated & shows the Sacred Heart of Jesus on the front. 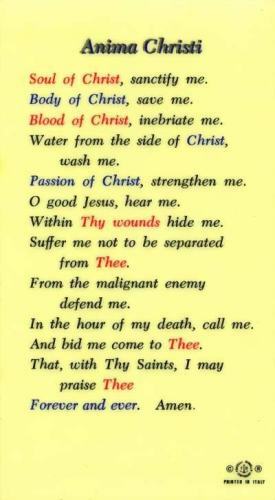 The Anima Christi Prayer is on the back. That, with Thy Saints, I may praise Thee forever and ever, Amen.